This marketing infographic is part of KlientBoost’s 25-part Marketing Advent Calendar. Sign up here to receive a new gifographic once a day in your inbox. Making more money appear — both for my PPC agency and for our clients. A large part of the magic comes from the landing pages our CRO team designs and tests. And today I want to reveal all the tricks that go into a high-converting landing page to make you the David Copperfield of PPC landing page testing. When your PPC campaigns and landing page work together on a geographic level, you unleash serious conversion potential. Which one do you think will perform better? I think the second would — and we have 100+ clients that would agree. By becoming more granular with your PPC campaigns, you’re able to make the visitor believe that you’re local (even if you’re not). This table shows conversion rates for landing pages displaying generic 800 phone number versus landing pages with a local number. Image source. And phone numbers are only a start. Test geographically specific PPC ad copy, landing page headlines and even visuals. 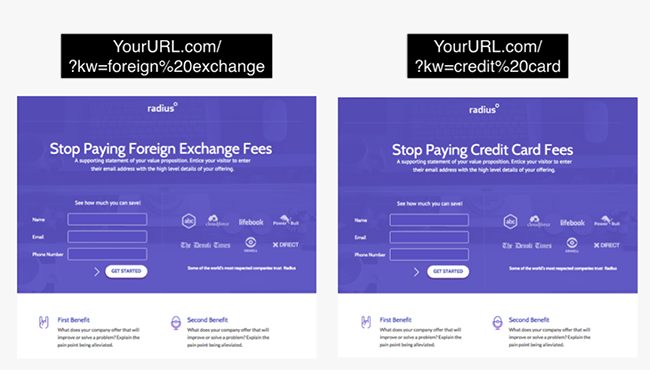 We use Unbounce’s Dynamic Text Replacement (DTR) to help us easily launch dynamic landing pages and prevent traffic dilution that slows down statistical significance. 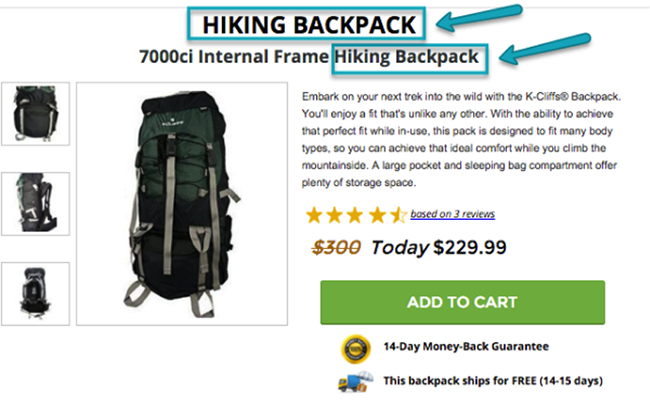 Dynamic text replacement allows you to swap out the text on your landing page with keywords from your PPC campaigns. With DTR, you can turn one landing page into 100 landing pages. 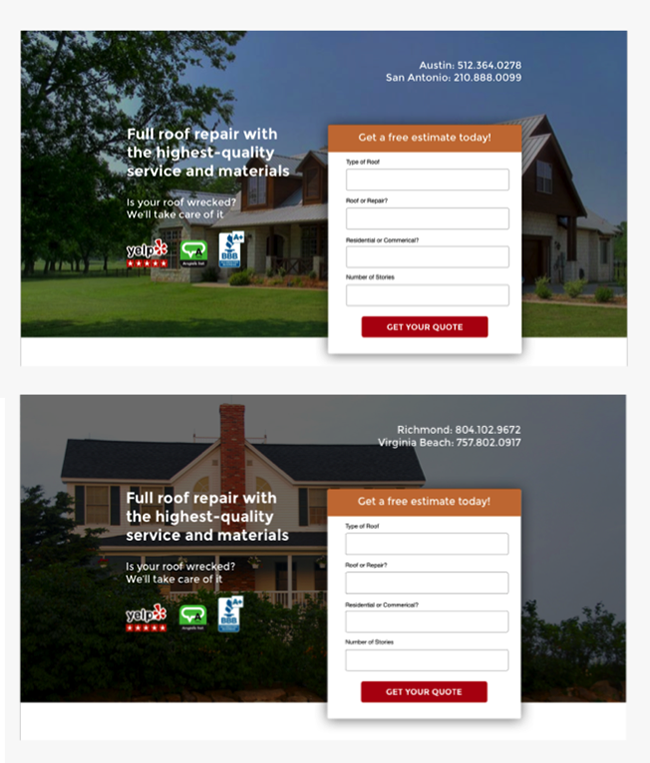 Here’s an example of an outdoors company using DTR to “magically” create super-relevant landing pages. 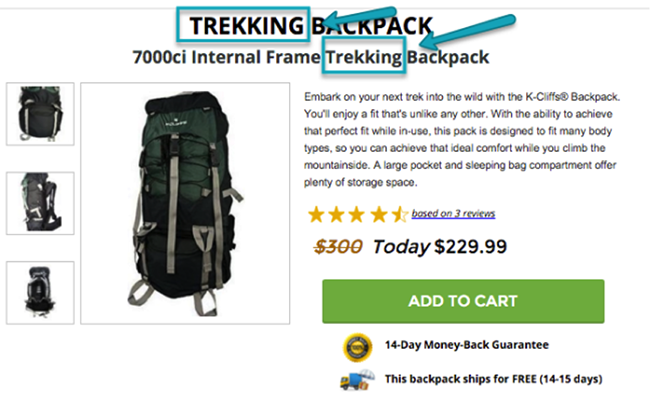 And if they searched for “trekking backpack”? Notice how nothing changed but the text on those two pages? Read a full explanation of this “magic trick” here. 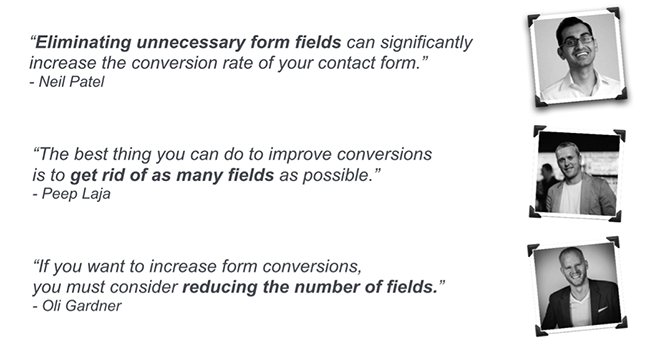 You’ve heard how reducing the amount of form fields will help improve your conversion rates, right? But what if I told you that there’s a way to add more fields (thereby better qualifying prospects) while still improving conversion rates? That’s some true David Copperfield s*** right there. I know that’s not David Copperfield. Just trying to see if you’re awake. GIF source. On our own landing pages, we start by asking questions that are easy to answer, and then progressively get more personal. We’ve built all our lead gen efforts around multi-step landing pages. Image source. A common mistake a lot of our clients make prior to working with us is that they use the same call to action for all their PPC traffic: search, social, video and display. This is problematic because different types of PPC traffic have different levels of intent. We have found that display leads are typically colder than leads acquired through the search network. 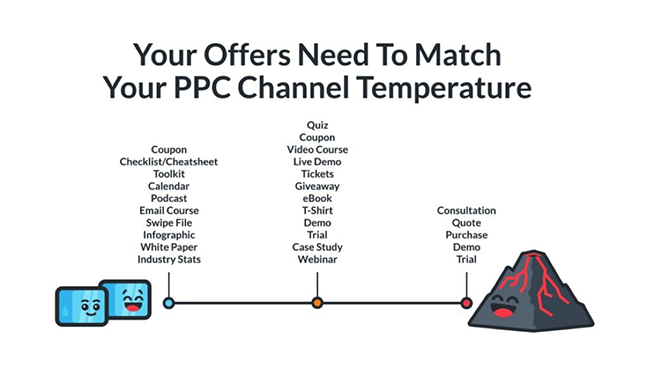 If a certain PPC channel isn’t converting for you, sometimes switching up the offer — and the call to action — can make all the difference. We made this to use internally at KlientBoost. As with most PPC tactics, this requires a bit of testing. And don’t forget to have a means of nurturing cold leads down the funnel. Remember how you can improve conversion rates by changing phone numbers and headlines to appear more local to the visitor’s location? You can also do that with your hero shot and other visuals you’re using on your landing page. Conversion rates increased by 22%. It seems so simple, yet it’s a bit of work to set up. But the payoff is immense. This very moment, you’re likely bidding on multi-intent keywords that may bring you conversions (leads, demos or trials), but will never turn into sales. With your CRM lead entry that now has all that additional bulleted info, you’re able to go back to your PPC accounts and learn not just what keyword gave you the lead, but what keyword gave you the sale — in other words, which of your keywords have the highest closing rate. With that information, you’ll find that you’re able to afford higher CPAs for certain conversions compared to others, and this will ultimately help you get higher volumes of the right type of conversions. PPC landing page testing can be complex, but these few tricks above are what help us double the performance for our clients. These tips will help you customize your landing pages, resulting in better marketing experiences that convert better. So you can pull more rabbits conversions out of your hat PPC campaigns.